For some reasons, you might need chainsaws in your office, for instance, to prepare some artwork or models to while away your boredom. The commercially available chainsaws might not be so suitable for your purpose due to its large size and weight. 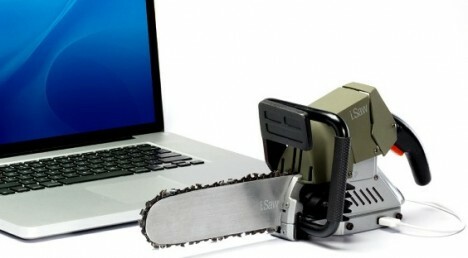 If your work requires you to have one in your office, probably this compact USB-powered chainsaw, i.Saw, might be a good choice.